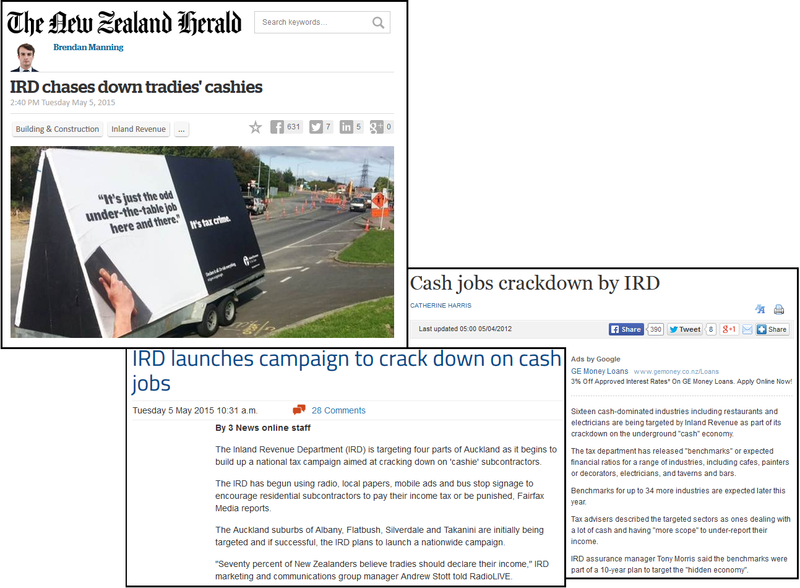 Meanwhile, the IRD today (5 May) announced a crack-down on ‘tradies’ and other businesses who do “cashie” (cash) jobs whilst not declaring that income with Inland Revenue and subsequently not paying their full measure of tax. First of all, let me state that everyone should pay their taxes. Without a comprehensive taxation system, our infra-structure would never have been built and our social services would be non-existent. 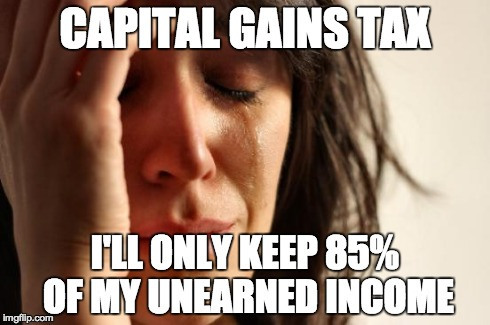 But it’s a bit “rich” (excuse the pun) for the IRD to be clamping down on an underground “cash” economy when we have – in broad view of the entire nation – a massive tax loop-hole costing society billions in lost tax-revenue. 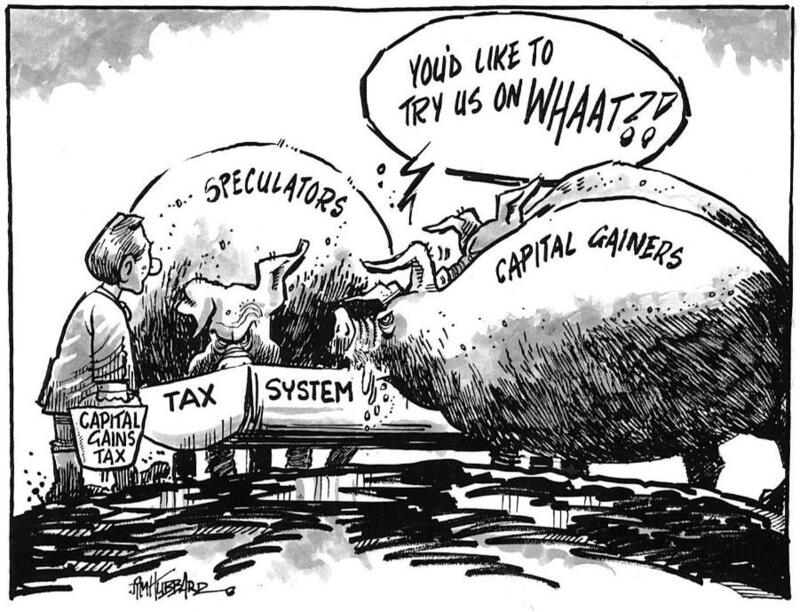 I refer to a lack of Capital Gains Tax (CGT). A tradesman is expected to pay tax on thousands or tens of thousands of dollars received for sub-contracting jobs. In effect, the current taxation system rewards doing very little work. 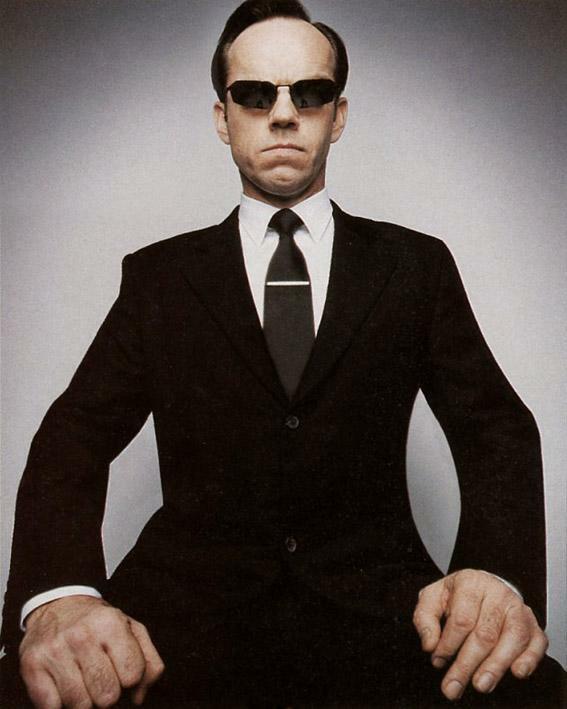 For “Jonathan”, a property investor/speculator, he will just sit back in his Italian-leather recliner-rocker; and watch property inflation increase values. Then cash-up and make a tax-free windfall. Meanwhile, “Gazza”, a tradesman living across town to the property investor/speculator, gets up at 6am; goes to work in cold or shine; rain or fine; puts up with the risk of workplace injuries (or worse); goes home; and repeats the next day. For his efforts, he is taxed. 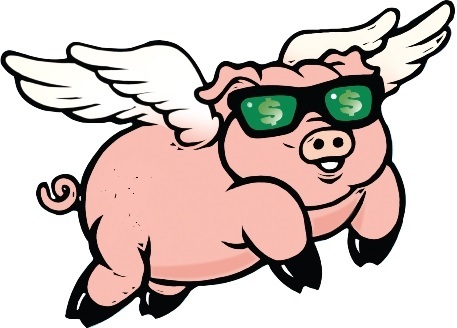 And if he dares pocket a dollar without paying a percentage to the Taxman – he can be fined 150% plus interest; taken to Court; perhaps even bankrupted. The latter is called “a mug’s game”. (L-R) “Gazza; works six days a week; earns $150,000 p.a. 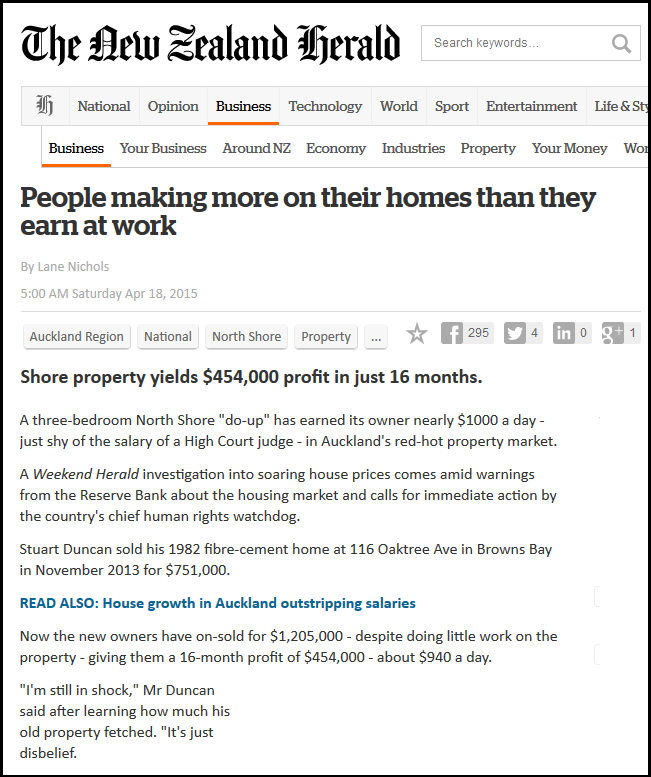 ; pays income tax on earnings plus GST on any new home he builds – “Jonathan”; works in his garden tending to his geraniums; made $1 million selling three houses in Auckland he bought a few years ago; paid nil tax. “Gazza” then gets a letter from IRD saying he’s being audited because he may have done a few “cashies” sometime in the last few years when things were a bit lean after the GFC. Seems he forgot to pay tax on a few thousand dollars. Meanwhile, “Jonathan” thinks he and his wife will enjoy a round-the-world cruise with their tax-free gain. “Gazza”, who built the houses, paid tax on every cent he earned (except for the “cashies” he may or may not have done elsewhere). “Jonathan”, who has lifted a hammer only to put a picture up on the wall, who built nothing, and simply bought and sold existing houses – paid nothing in tax. Only in New Zealand do we have a law going after the battlers like “Gazza” – who actually get up each morning to build new houses. 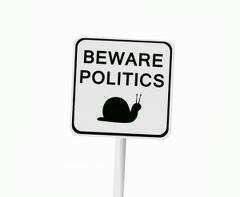 National and ACT think this is a perfectly sane state of affairs. 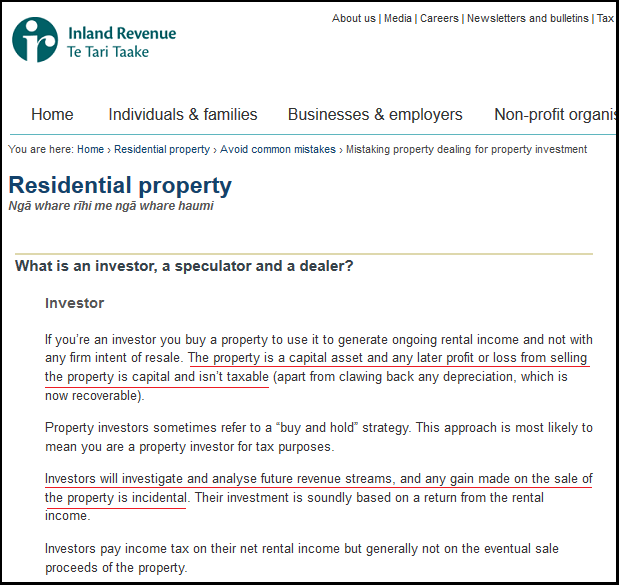 “Mr Smith” from the IRD is knocking on “Gazza’s” door. “Gazza” wonders why he bothers getting up in the mornings. “Jonathan’s” geraniums are doing very well. Stuart Duncan sold his 1982 fibre-cement home at 116 Oaktree Ave in Browns Bay in November 2013 for $751,000. Now the new owners have on-sold for $1,205,000 – despite doing little work on the property – giving them a 16-month profit of $454,000 – about $940 a day. “I’m still in shock,” Mr Duncan said after learning how much his old property fetched. “It’s just disbelief. I doubt if we’ll be receiving much assistance from an invisible supernatural deity. Not when New Zealanders seem unwilling to help themselves sort out this crazy mess. 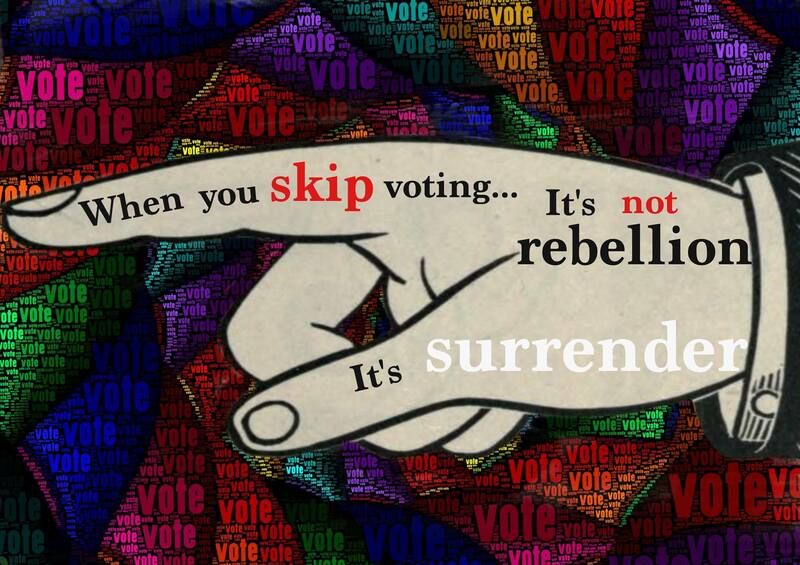 And not when we, as a nation, keep re-electing a government hell-bent on doing nothing about a crisis that has spiralled out of control. 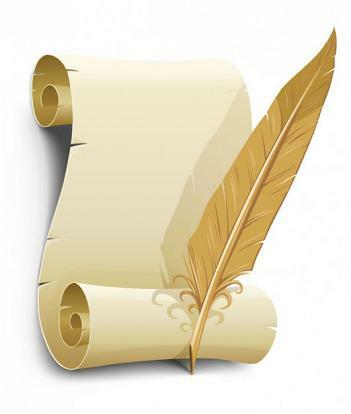 This blogpost was first published on The Daily Blog on 6 May 2015. 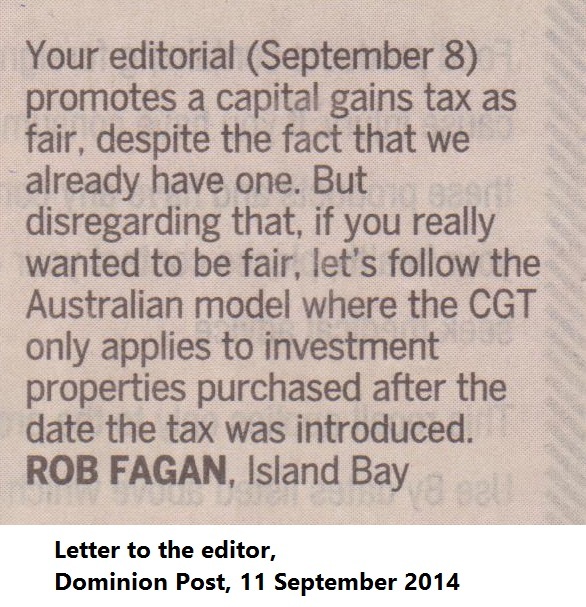 In referring to a capital gains tax, Rob Fagan claims “that we already have one” (letters, 11 Sept). 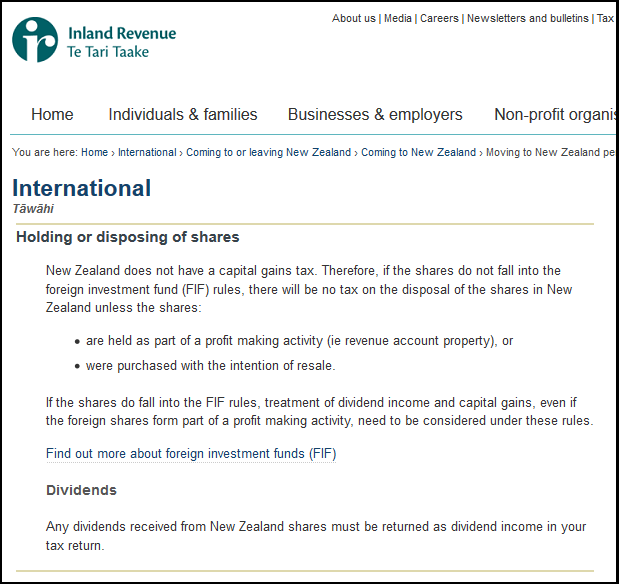 This would be news to the IRD which states, in fairly plain english that, “New Zealand does not have a capital gains tax” on it’s page ” Moving to New Zealand permanently – Holding or disposing of shares”. Mr Fagan might advise if there are any other taxes Inland Revenue isn’t aware of.